I started getting interested in cowboys after my neighbor in Oakland invited me to join her at the Bill Pickett Invitational Rodeo in 2007 — my first ever. I was raised in cities (San Salvador and Miami) and had never experienced much of country life. Being out on a ranch and around horses was a new experience. Witnessing the connection the cowboys had with the horses and the glamour of riding was quite captivating. I was immediately hooked by the example of Americana and black history. Initially, I was fascinated by the young cowboys and cowgirls who were fluent in both technology and tradition, something I was not expecting to witness. 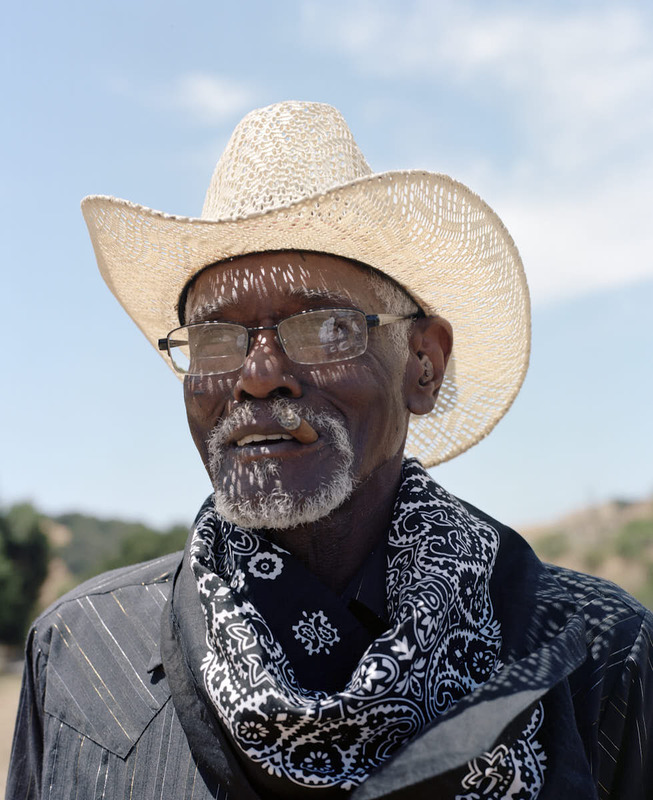 Later, I started meeting older cowboys who have been keeping black cowboy history alive in the West. 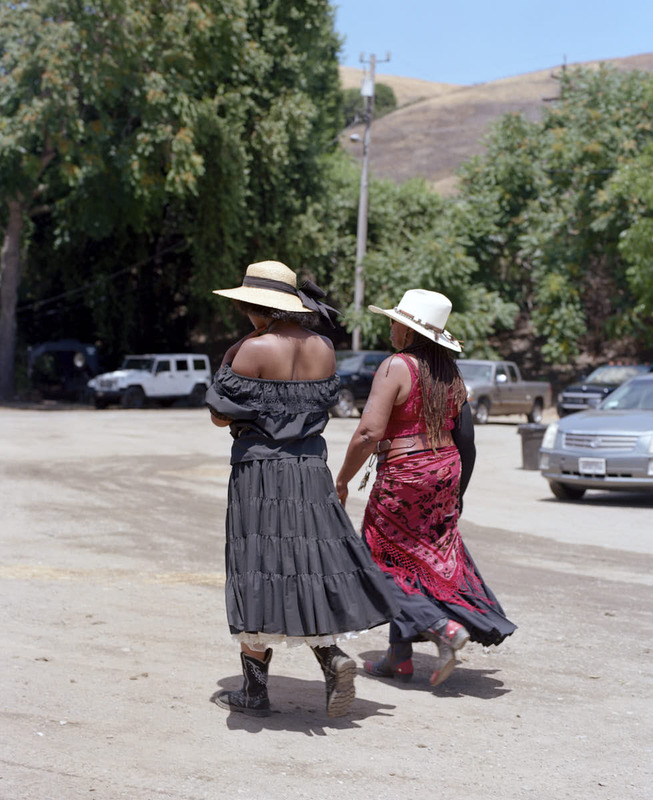 My fascination with the riders’ beauty and confidence led me to photograph this series on medium-format film. The process is slower, and I’m able to focus more on my subjects. Therefore, my images feel quieter than the typical rodeo pictures we see in the media. I’m also less interested in what happens inside the arena. 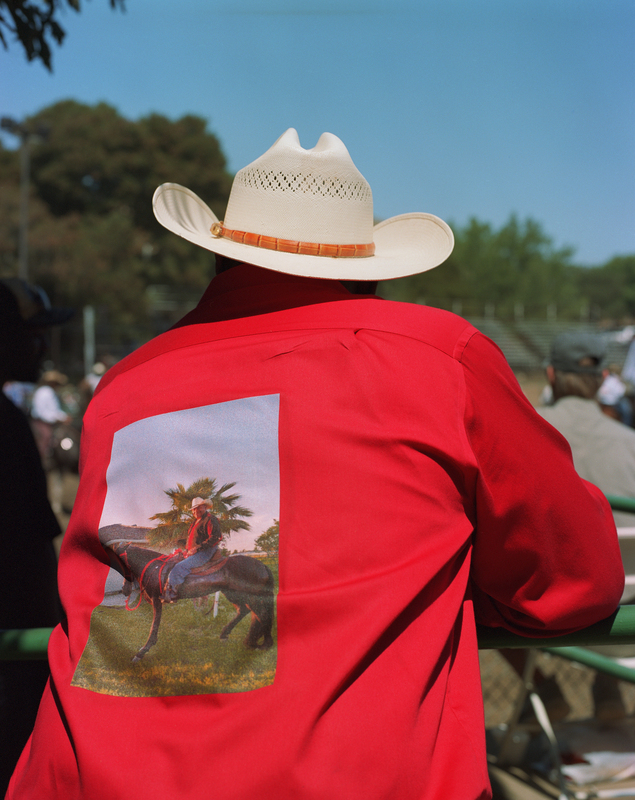 Instead, my work focuses on the people who attend the rodeo and the participants who put their lives at risk each time they compete. 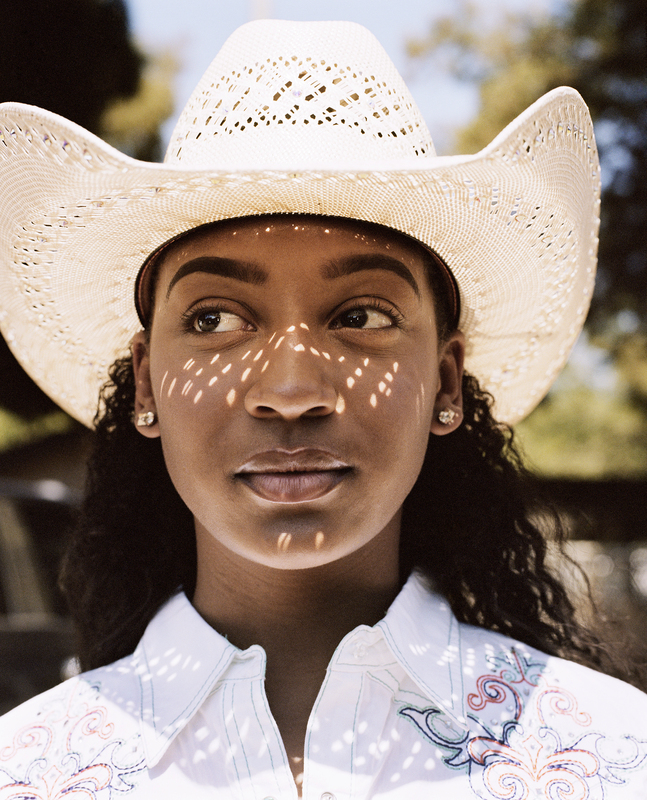 I’m aiming to document the beauty of the tradition and culture of the black cowboys and their community. As I returned to document these riders, I quickly realized how few people even knew of their existence, much less their cultural and historical significance. More than 8,000 black cowboys rode in the great Western cattle drives of the late 1860s. Black cowboys were renowned for their ability to ride the nastiest horses that white cowboys wouldn’t ride. The Bill Pickett Invitational Rodeo is named after the man credited with inventing bulldogging, the precursor to the modern rodeo event of steer wrestling. 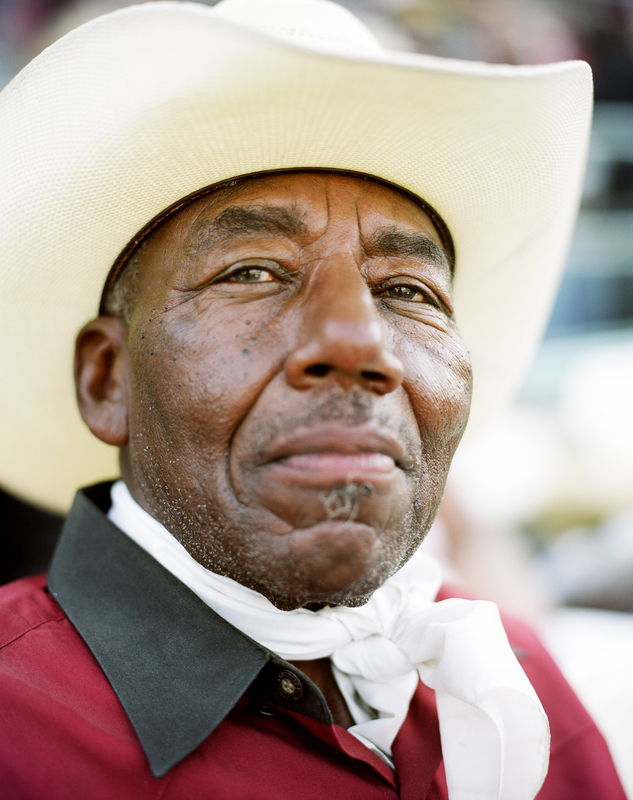 The Bill Pickett rodeo, founded by Lu Vason in 1984, is the only touring black rodeo in the country and this year visits Memphis, Tennessee; Oakland and Los Angeles, California; Atlanta; and Washington, D.C.
It’s hard to imagine a more powerful symbol of self-reliance, strength, and determination than the cowboy. 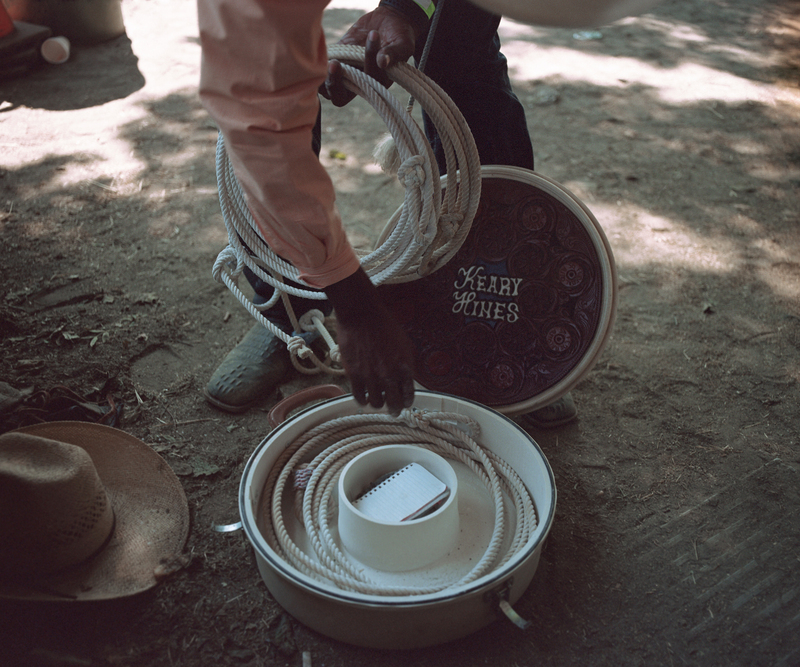 Our fascination with cowboy culture should acknowledge that these qualities of strength and resilience were forged by black men and women as much as they were by any other group. 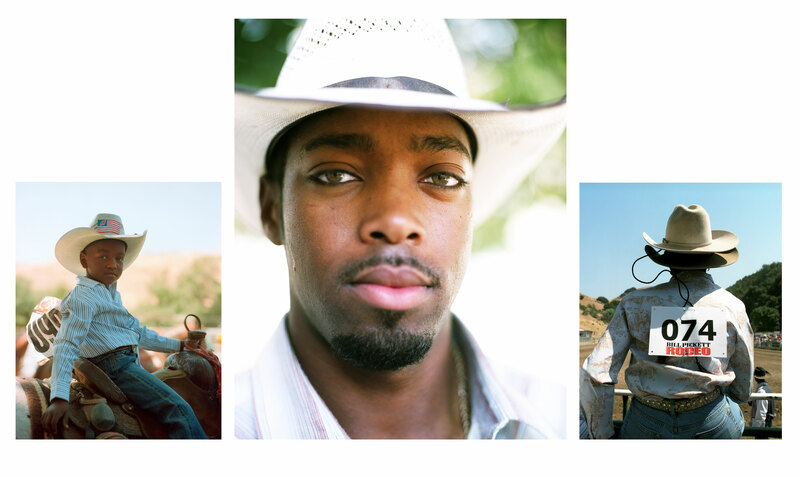 These photographs are intended to capture the vibrant culture of black cowboys in the West and bring it into the mainstream. A young boy practices his roping skills in the parking lot of the rodeo, July 9, 2017 in Hayward, Calif. The boy is part of the Brotherhood Riders Youth Club. It is a mentoring program for at risk youth in the Stockton, California area. 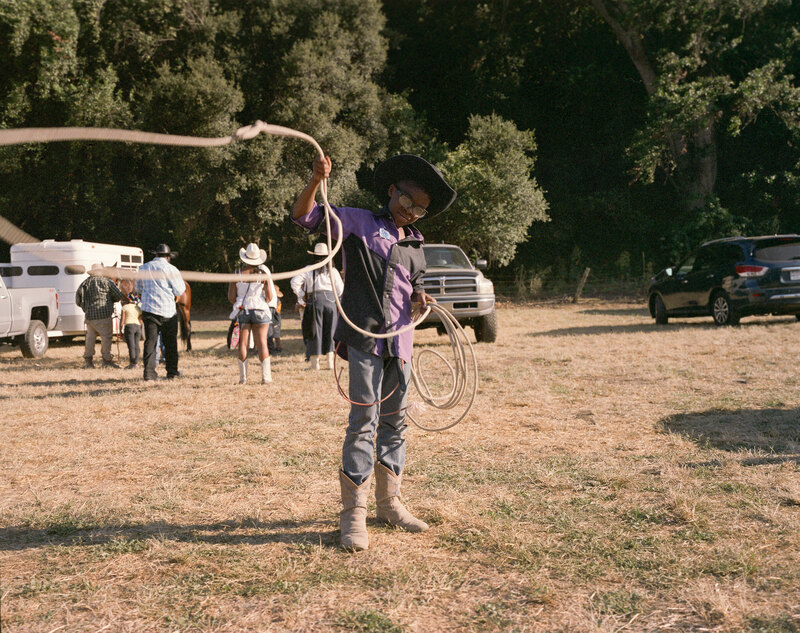 During the summer months, founder Sylvester Miller, takes the youth to several rodeos across California. Contestants anxiously await their turn to compete as they watch the spectacle in the arena on July 10, 2017. 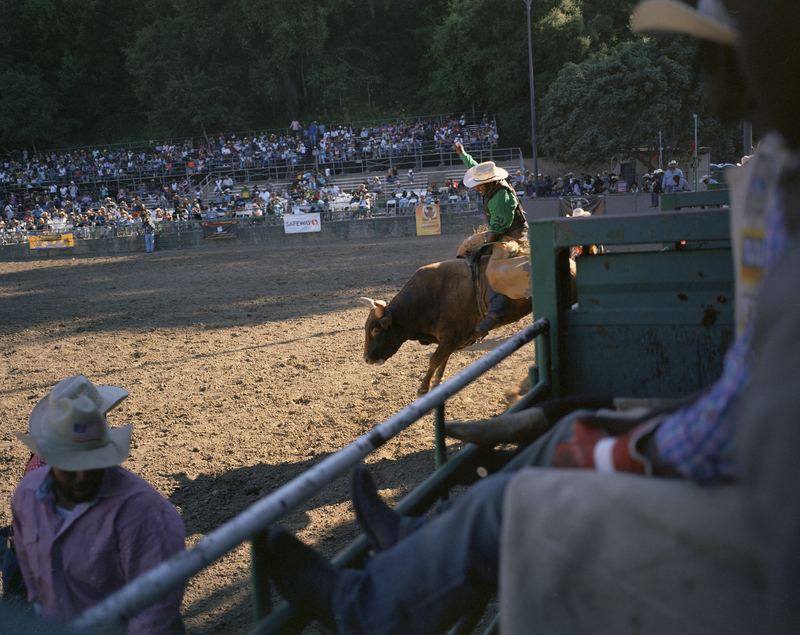 Left: Bill Pickett Invitational Rodeo in Castro Valley, California. Photographed on July 14, 2018. 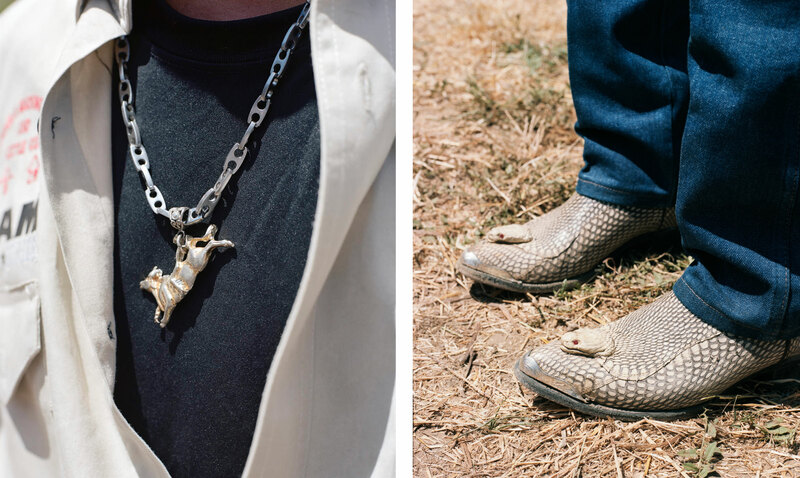 Right: Contestant Leroy Levi Patterson Jr. had his custom snakeskin boots made in Tijuana, Mexico. Leroy is a veteran bull rider and travels nationally to compete. Cowgirl Brianna Owens competed in the ladies’ barrel racing at the Bill Pickett rodeo on July 9, 2017. Barrel racing is one of the two events open to cowgirls only. The other is ladies’ steer undecoratin’. Hayward, California. July 10, 2017. A bull rider enters the arena at the 2017 Bill Pickett Invitational Rodeo. Bull riding is the most dangerous event at the rodeo. Riders must stay on the bull for eight seconds and are judged on how well they ride. The rider is disqualified for bucking off before eight seconds is up, or for touching himself, the animal or the equipment with his free hand. 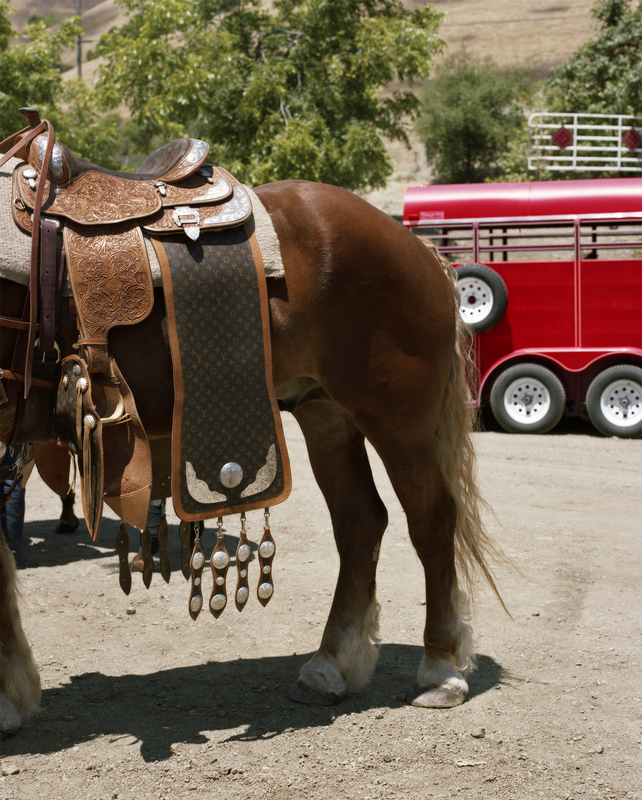 A Louis Vuitton accent piece decorates the saddle on a Belgian horse used for the grand entry at the 2009 Bill Pickett Invitational Rodeo in Castro Valley, California, July 11, 2009. Hayward, California. July 9, 2017. Keary Hines competed in the 2017 Bill Pickett Invitational Rodeo in Castro Valley, winning first place in the event called tie down calf roping. Keary is a cowboy from Texas and travels regularly across the country to compete in calf roping. Cowboy Greg Bradley Sr. at the Bill Pickett Invitational Rodeo on July 9, 2017. 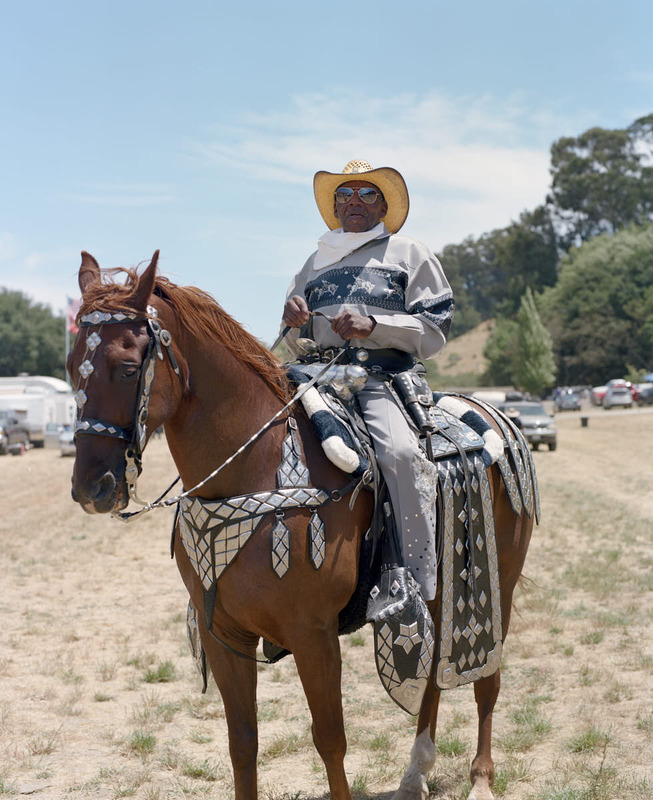 He’s a member of the Wilton Riders, an African-American equine organization that mentors and educates on African-American Western history and is based in Sacramento. 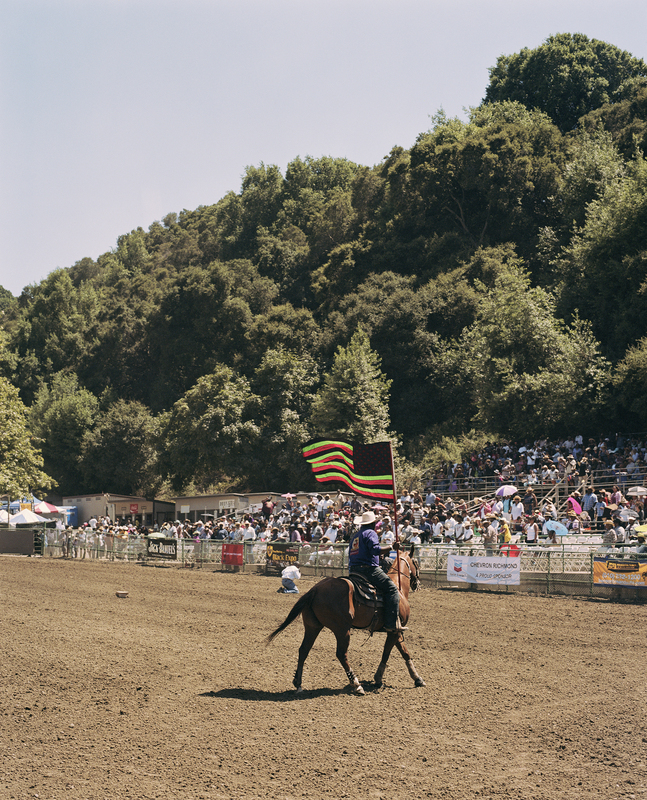 Bill Pickett Invitational Rodeo in Castro Valley, California. Photographed on July 14, 2018. Left to right: Hayward, California. July 9, 2017. Contestant known as Junebug, age 6, competes in break away roping. He is the son of Daniel Clark, champion barrel racer, and grandson of famed horse trainer Don Clark from La Grange, California; cowboy Ashanti Samuels at the 2008 Bill Pickett Invitational Rodeo. The rodeo tours each year from January through November; Contestant Denise Williams prepares to compete at the 2008 Bill Pickett Invitational Rodeo held annually at Rowell Ranch Rodeo Arena. Hayward, California. July 9, 2017. 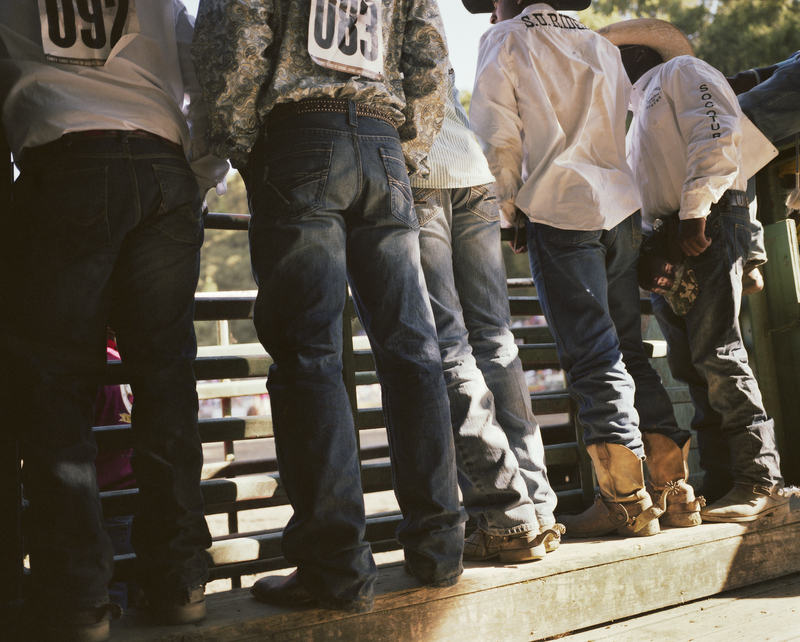 Backstage during the bulldogging events, both contestants and fans are enthralled by the spectacle during the 2017 Bill Pickett rodeo. July 11, 2009. Hayward, California. 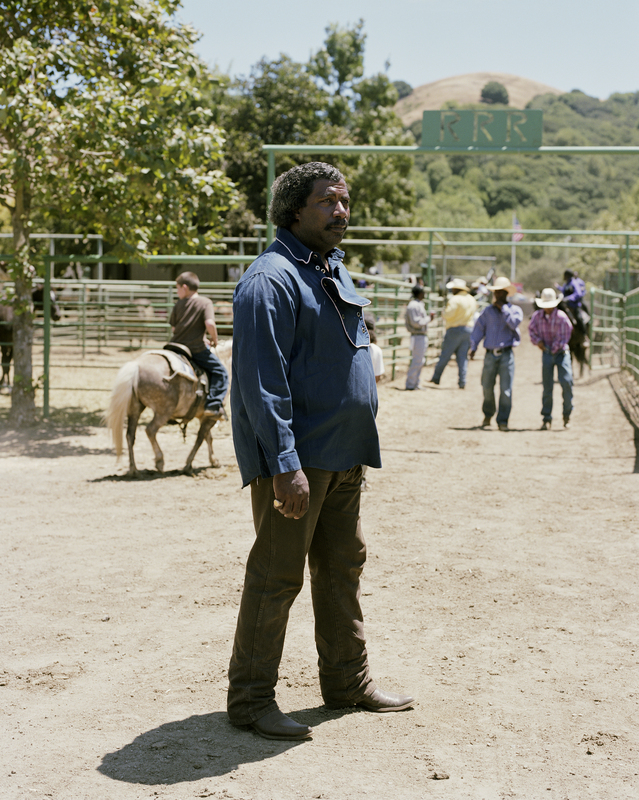 Cowboy Jewell Weaver of Discovery Bay, California, produces black Western films. 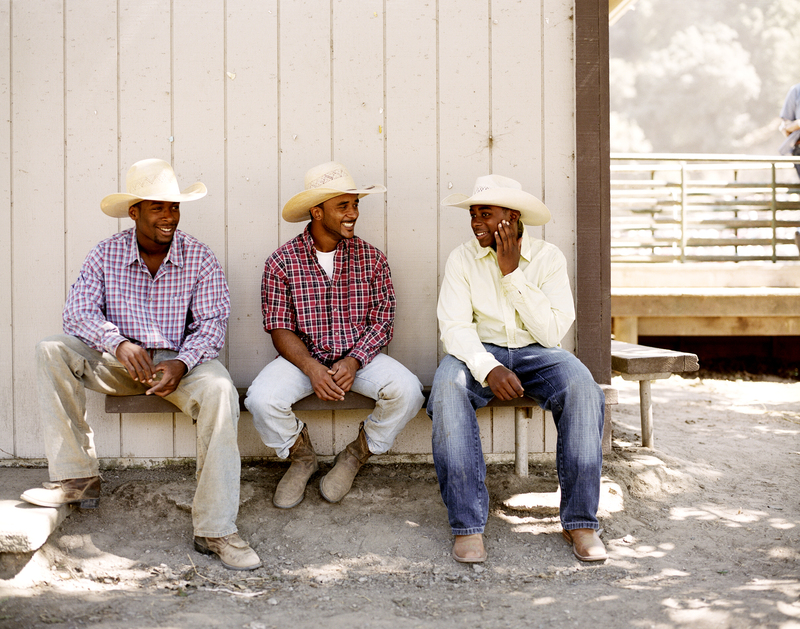 Three cowboys relax behind the stage at the Bill Pickett Invitational Rodeo on July 11, 2008. The event is very family-friendly, as many of the riders have children competing as well. A survey taken at the 2018 event revealed that 56 percent of attendees were new to the rodeo. And about 45 percent of the people found out about the rodeo through friends or word-of-mouth. July 11, 2009. Hayward, California. Mr. Theus lives on a ranch in Valley Springs and used to own a salon in Oakland called Mr. Theus. He participates annually in the rodeo’s grand entry. He’s been the world champion fancy dress horse presenter for over two decades at the Bill Pickett Invitational Rodeo and is a lifetime member of the Parks Mounted Patrol team. Hayward, California. July 1, 2008. 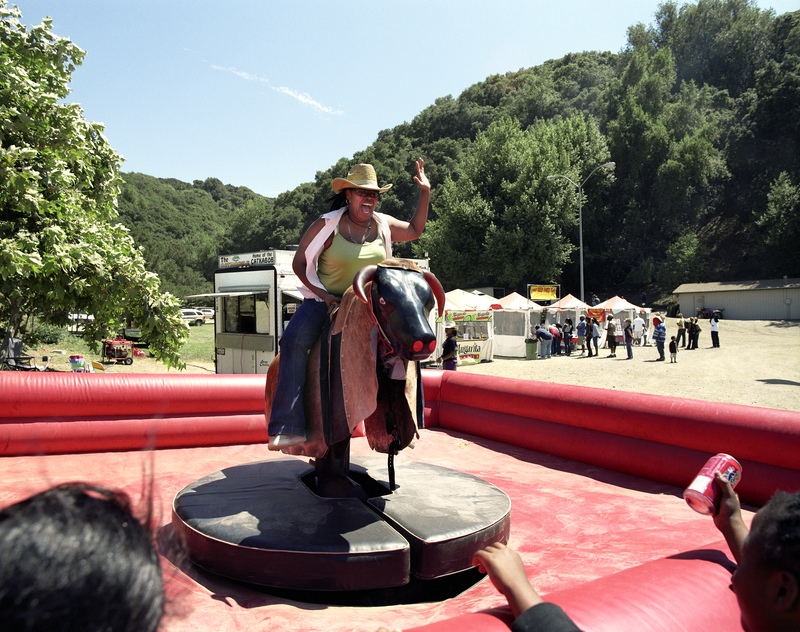 A young woman enjoys the mechanical bull simulator at the Bill Pickett Invitational Rodeo in Rowell Ranch Rodeo Arena. Hayward, California. July 10, 2017. 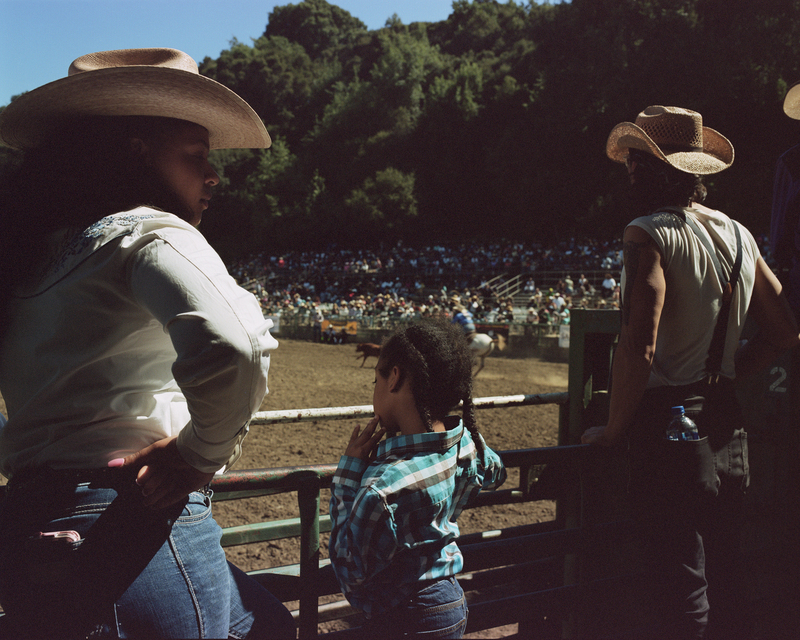 At the end of the Bill Pickett rodeo in Oakland, spectators get to meet the cowboys and ride their horses. For some viewers who have never been on a horse before, this can be a life-altering experience. 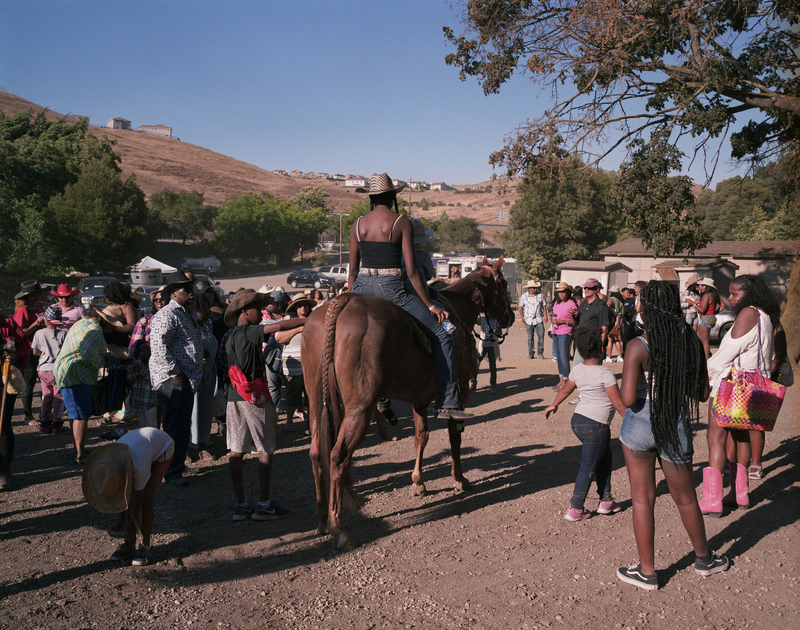 A large crowd tends to stay behind for this meet-and-greet at Rowell Ranch Rodeo Arena in Hayward, California.